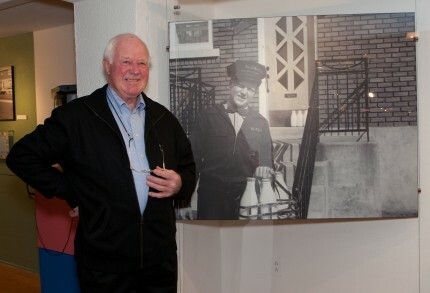 William J. Kerr, milkman, in Run de lait exhibition, 2010. The museum collection corresponds to a classic collection composed of objects and documents acquired and conserved by the institution under suitable conditions. It is made up of material elements that bare witness to the history of the neighbourhood, the history of labour and industry, and/or working class culture. the communication of this heritage. a social framework organized around contemporary issues that affect the territory and reflect the theme. 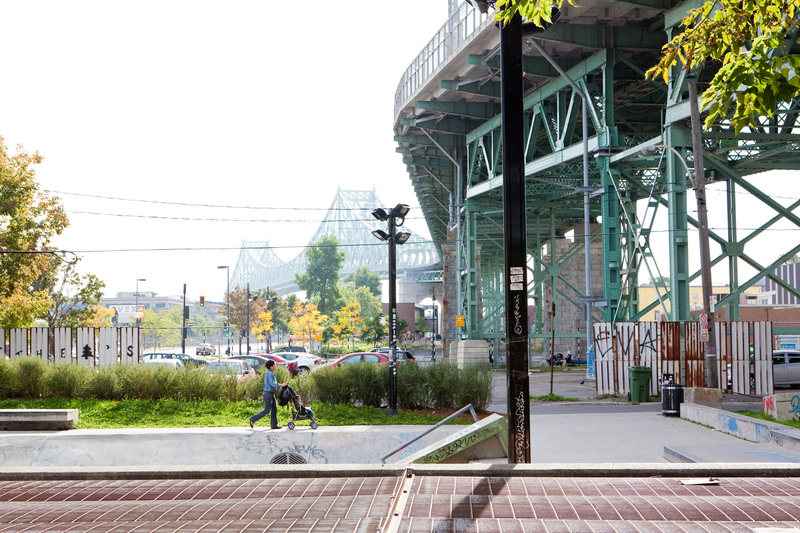 Surroundings of the Jacques-Cartier bridge, 2011. Rather than acquisition, it is a process of designation that allows for a piece or an element to enter into the collection. This designation is made by the collections committee of the Écomusée. The designation process also implicates a neighbourhood partner (or partners), who may, for example, own the designated element. The designated element is then recorded in the ecomuseum collections catalogue and can become the focus of various activities conducted by the Écomusée du fier monde in conjunction with its partners. Actions that document, promote and diffuse knowledge are conducted with the ultimate goal of ensuring that these heritage elements are passed on to future generations. The Écomusée thus hopes to mobilize the community and encourage citizens to take charge of their heritage.